It was time. The children had finally reached an age where I was certain that they were ready to sit down and watch one of the greatest movies of all-time. The fake logs glowed in the fireplace, the lights twinkled on the Christmas tree and the smell of popcorn floated in the air. And as Julie Andrews spun around in circles on the top of a hill, apron flying in the wind and I sat there surrounded by my precious babes, I was quite certain that there was nothing that could top this moment. I was wrong. When we reached my most favorite part in the movie, where Maria is in her room praying and Liesel is sneaking in through the window after meeting that boy Rolf (traitor!!) and dancing around the gazebo, I could barely control my anticipation. I knew which song was coming. The BEST song in whole movie in my opinion. And as Julie/Maria belted out those lines about raindops and roses and whiskers on kittens, I could see it dawning on my sweet girl’s face. She knew that song very well! I have been singing it to her since the day she was born and it is ‘our’ song. My heart pulled a grinch and grew two sizes bigger in that moment. You can imagine my delight when Melissa from 320 Sycamore asked me if I would be willing to join a whole gaggle of other bloggers in sharing a ‘Few of my Favorite Things’ this year. Of course, ever since I received the email I’ve been singing that song. And now I’m sure you are too. You’re welcome. So, in my best Fräulein Maria and without further adieu, I give you a few of my favorite things this Holiday season! 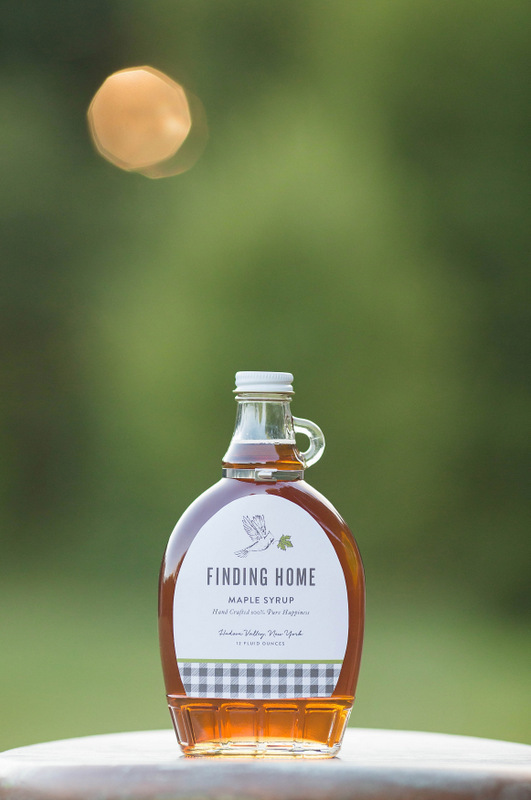 My incredible friend Laura from Finding Home just launched her new AMAZING new shop where you can buy 100% Pure Maple Syrup and I’m thinking they would make the perfect stocking stuffers this year! 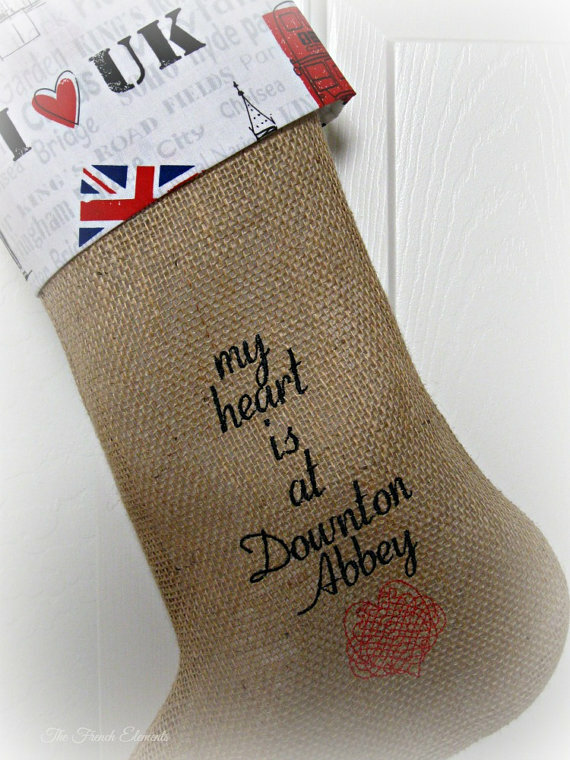 I’m pretty sure that this Downton Abbey Stocking from The French Elements would help in my quest to stay patient as we wait for the next season to premiere here in the states! A certain little girl in our home will be receiving the American Girl Doll of the Year Isabelle and I promise it isn’t just because she said I sound exactly like Julie Andrews. 😉 She is the ‘Girl of the Year’ so I know she will be cherished since come January 1 she will be no longer available. I have several….ahem…older-ish folks in my life who seem to be always losing their glasses (usually they are on their heads!) 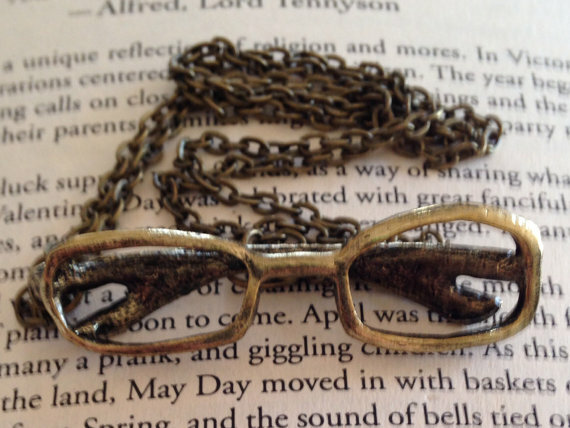 so I think this Spectacles Necklace from Ambivalent Relics would be such a fun/funny gift. 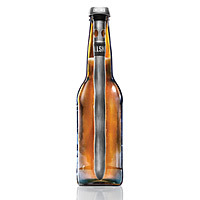 I got this Chillsner from Uncommon Goods for my husband last year for Christmas and at first he was skeptical but all it took was a beer staying nice and cold until it was all gone to win him over. 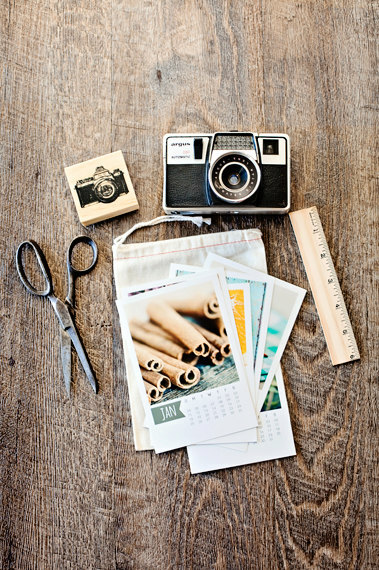 I don’t know about you but I still go the old-school route and have physical calendars in our home and I just love this Photo Calendar from Photographs by KLP so much! 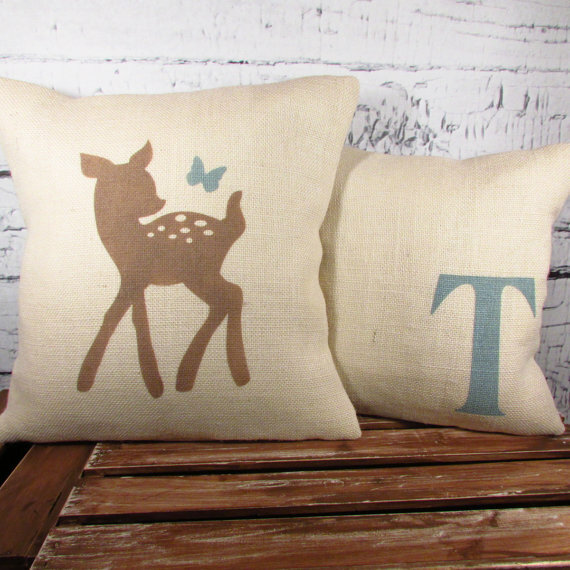 If I was decorating a nursery right now, the colors in this Child’s Deer and Butterfly Monogram Pillow Cover Set from LaRae Boutique would be exactly the palette I would choose! So beautiful, soothing and sweet. A certain friend of mine has a little boy who adores all things construction and since I absolutely adore him I couldn’t resist ordering these Construction Utensils from Uncommon Goods! 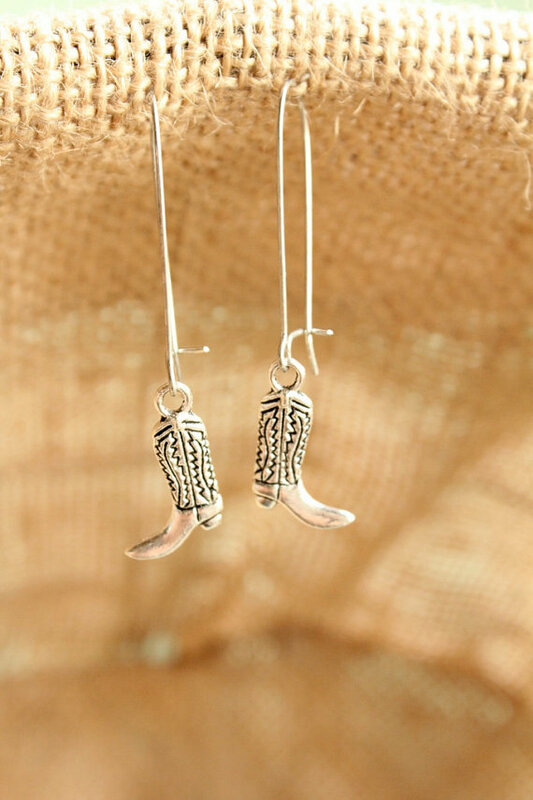 These Cowgirl Boot Earrings from Bel Monili totally remind me of the year when my daughter was a cowgirl for Halloween. She NEVER wanted to take off those boots! My son is a total techie kid who spends his own money to buy electronics at Goodwill simply so that he can take them apart and study the insides. I kid you not that there is a section of our garage covered in motherboards. He’s been begging me for a ‘real’ camera, not a kids camera, so that we could do some photography sessions together. So when I saw this DIY Digital Camera Kit I KNEW it was the perfect thing for my boy. A camera that he can put together himself and see exactly how it all works! So, there you have it. Those are just a few of my favorite things this year. What about you? Do you have some favorite things on your list this year? For more great ideas head over to 320 Sycamore and have fun working your way through all of the amazing selections from the other ladies. I’m heading over to visit Amy at The Idea Room and I can’t wait to see her ‘Favorites’! 13 Comments on "A Few of My Favorite Things"
Fun picks Vanessa—especially LUV those pillows! My favorites? 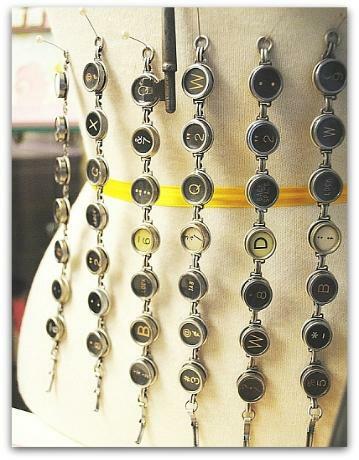 Typewriter key bracelets and the photo calendars! Love them. Beautiful list! Thank you sweet friends! I so appreciate your support!!!!!! So many goodies. Thank you for including my Downton Abbey stocking. We are overseas right now so it started my day off in a very merry way! Thank you for including my pillows in this beautiful collection! 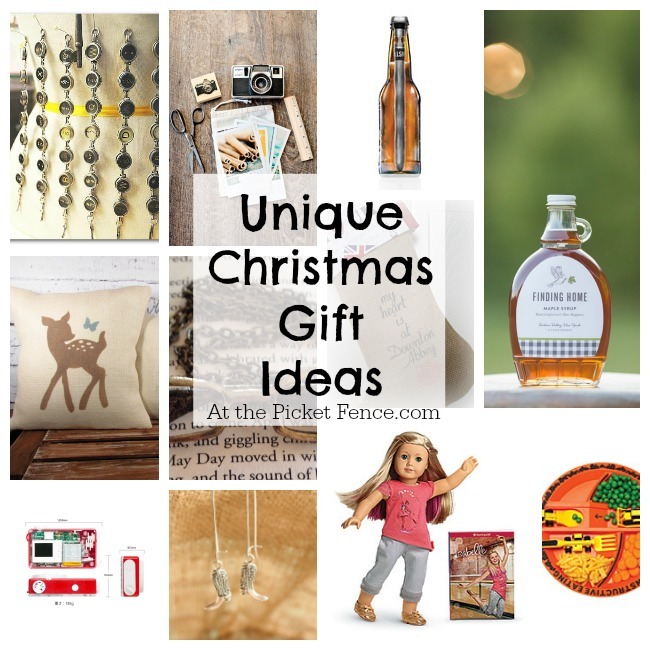 So many great gift idea suggestions! Love them all! 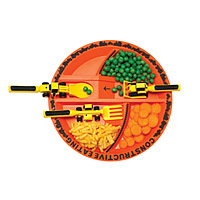 I’m always on the hunt for unique gift ideas for people. These are all wonderful options! Thanks for the suggestions! Oh I love that photo calendar and those pillows! Great picks! What great finds, Vanessa! I so miss buying American Girl for my girls, I still love looking at the catalog 🙂 Happy Thanksiving!